I guess the city must have concluded the best time to do road work is during rush hour. 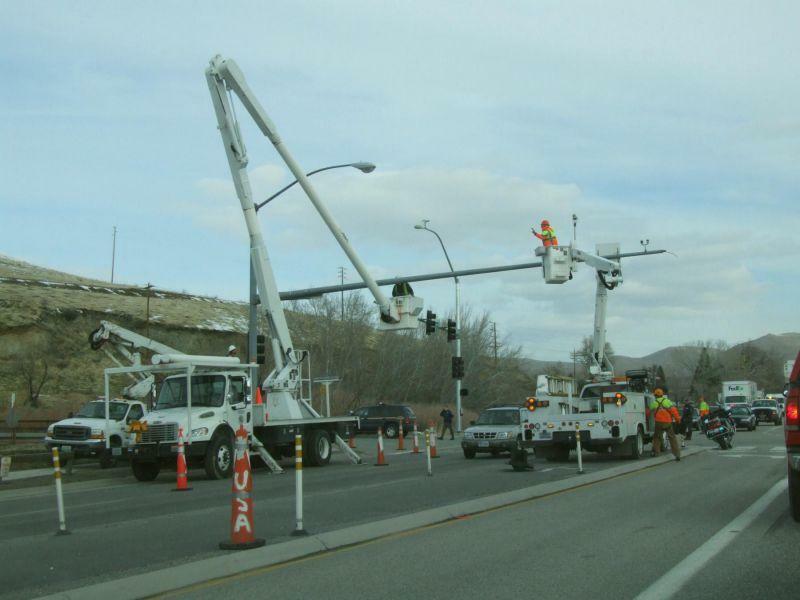 That’s the only way to explain why Carson Street was down to one lane at 9:00 this morning as they did some work on the signal heads at Fairview. This wasn’t just a fast in-n-out job, either. They had cones set up, they had signs all the way back at the ormsby House warning you that the lane was closed, and they had law enforcement out to direct traffic. This was a major effort, planned in advance. I guess they don’t like paying overtime, and that’s why they’re not working at night. which is when sane companies do road work. Next A Roundabout for Minden?